Midnight Castle is rated 4.0 out of 5 by 422. Rated 5 out of 5 by lovetoocraft from Fabulous game! This morning I saw this game and curiosity got the better of me. I downloaded it and played for hours! At first it was confusing, but I kept playing and as I played it started to make sense. Can't believe this is a F2P game! I would have gladly paid for it. I've gotten more enjoyment out of this free game than I have for most of the games I have paid for. Looking forward to this company coming out with more games similar to this one. Thank you Big Fish for adding this to your inventory! Rated 5 out of 5 by JackGamer100 from this is quite good way to relax This game is a good way to relax. Nice graphics, not too hard tasks and fabulous atmosphere. Rated 5 out of 5 by SCRoberts from Brain Sharpener Love the graphics. The clock and dark mode challenges me and my brain. New levels open deeper levels of play which is fun and challenging. Rated 5 out of 5 by Tartanpimpernel from Unbelievably good. I have been playing this game for over a year now and it continues to get better and better. This is a game like you have never seen before, a true adventure, when you literally control the outcome Games graphics are exceptional. When a new area is opened up it takes your breath away. I won't say much more but, please, do yourself a favour and try this game. Rated 5 out of 5 by pag2 from Love this game! I love the way this game changes. You get an update and suddenly when you go into a scene it's different which makes it like a brand new scene. I never get bored with it. Things to find, to make, favors to do for characters, lots of extras going on too. I also love that it's free. I probably spend far more time playing than I should, but it's great fun. I haven't bothered to get friends to play with, but that would make it better I assume since you can give each other things. I wish the scenes would recharge quicker, but when you accumulate these (can't recall what they're called) you can turn them in for shorter wait times. Try it out! Rated 5 out of 5 by darkkdawn from Midnight Castle is Awesome.for a Free To Play Game! 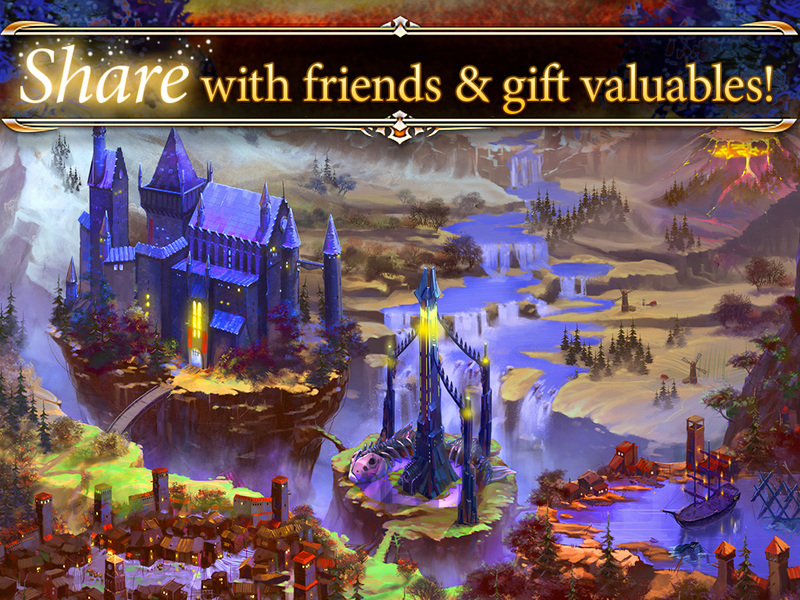 Midnight Castle is my first time playing a free to play game with tons of hidden objects. I am in awe at the beautiful graphics, the great music and a fantastic story line. 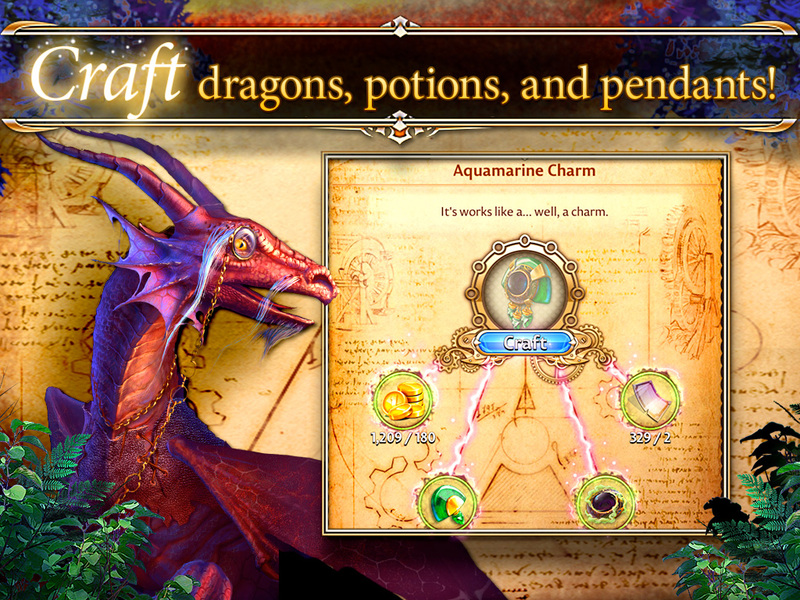 I am sorry that I waited so long to play this game that draws you into a world of magic and intrigue. 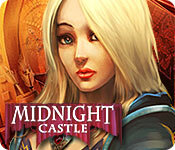 If you like hidden object games you will love Midnight Castle. I hope there will be a part two. Rated 5 out of 5 by TinkerOne from Great Fun !!!! Just give this one a try, it is FUN and addictive, never boring !! Rated 5 out of 5 by pleiades7 from 7sisters I have enjoyed this game for over a year and still look forward to updates and playing. I play every day and love the bonuses and challenges. Keep up the good work! Rated 5 out of 5 by bettyboop434 from HIdden Object Game love the game, excting new rooms and love the charchters , as they change throughout the game and as you level up , also has holiday hidden object game to play and collect holiday items !! Rated 5 out of 5 by BobHarly from great game for continuous hidden objects I got the game for my 9 year old grandson and while explaining it to him I became interested in it and enjoyed playing the game. Rated 5 out of 5 by piratejack1307 from Once you start this game then your hooked! This game is highly addictive, once you start you won't be able to stop playing. Rated 5 out of 5 by Li_Bare from Midnight Castle I have been searching for a great HOG that plays like all those rpgmmo's. This is the first one I have run across that is like that, but in the first player that is free. It does have in game ability to purchase things, but if on a tight budget and are unable to buy to just continue game this one is fantastic! The graphics are very good and as well as game play. I can't say enough about this game. I love it! Rated 5 out of 5 by jacquianderson from greatest fan i love this game. have been playing for over 2 years now and am on level 82. the new events are excellent i look forward to more levels in the future. keep up the great work. thankyou!! Rated 5 out of 5 by Luckypool from You'll never leave your home again! Lovely, immersing, addictive, entertaining, annoying, gorgeous game. There are lots of break-out things to do whilst you wait for the re-loading times. Stick with it, you will gradually understand why there are lots of different icons to click on. Step by step is best and it will all become much clearer. The only irk I have is the dark mode - though you can ask friends for the magnifying glass which makes the whole screen light again. It would be nice if you could talk to your friends, and have some kind of swap system going, as in Awakening Kingdoms. There are a few things you collect that are not transferable or usable in gameplay - but maybe they're there to tease you to carry on - who knows. A complete winner - I've deleted all my other PC games like Candy Crush. Rated 5 out of 5 by jEMSW from Best FREE game you will ever find Love this game. Been playing for a year, & keep on playing. Of course I like most of the Elephant Games - they have some very talented developers working hard to creating wonderfully entertaining games. I will say Midnight Castle does start out slowly, & if you are one of those impatient people, this game is not for you. While the game is free, you may decide to spend a little cash, like I did, but it might have been better if I hadn't. There are a certain number of HOS - there are 22 in the Castle itself, 22 in the Town, 6 in the Elvyn Forest, 14 in Cloud City + over 40 others in various areas. While the each HOS has the same items, they will display as originally seen, in Mirror Mode, or in Night mode. Currently there are 80 levels , but the Elephant Games folks keep working, developing new levels & HOS In addition to the all the Hidden Object Scenes are: * There are over 50 Achievements - some reward you with Gems, & some reward you with an Avatar * Morphing flowers to collect - these will give you coins * Pets * Furniture to buy for your private rooms (Home, Christmas, & Spring rooms), * Character quests * Daily quests * Jigsaw Puzzles. You collect the pieces from the HOS you complete. Then you have all the pieces & put the pieces together you get the chance to win a couple of Inventory items. You can do each puzzle once every 4 hours. * Friends to give & receive Gifts of needed inventory items * Frequent Castle Challenges to keep you interested these last 30 days. Each day you are given a new challenge, if you complete the first 10 challenges in 10 days, you receive a new Avatar. For completing challenges #11-20 on time, you receive a second Avatar, then again if you complete challenges # 21-30 by the end of the challenge you will receive the 3rd Avatar. You must complete each challenge before moving on to the next one. We all look forward to the Seasonal Events - Currently there are 3 - Fall/Halloween, Winter/Christmas, & Spring/Easter. For Halloween - there are ghosts to catch, Pets to create. The Castle is decorated appropriately with pumpkins, etc. Give it a try. What do you have to lose? The cost is Free. Rated 5 out of 5 by Debidawn from So Addictive! I have enjoyed this game far more than I'd expected to. I cannot stop playing. It is so much fun and only keeps getting better and better the more I get immersed in the world of Midnight Castle. I love the graphics and the quests. I enjoy the morphing objects. I enjoy that there are special castle quests series and daily quests too, in addiction to the storyline quests. I can hardly wait until the next season/holiday events arrive. There is so much about this game to enjoy. Not least of which is the great hidden object scenes. The extras are plentiful: jigsaw puzzles, dice games, private rooms to decorate (or visit friends rooms) and exchanging gifts with friends. The great list of achievements also adds a fun element. I would love even more of those! 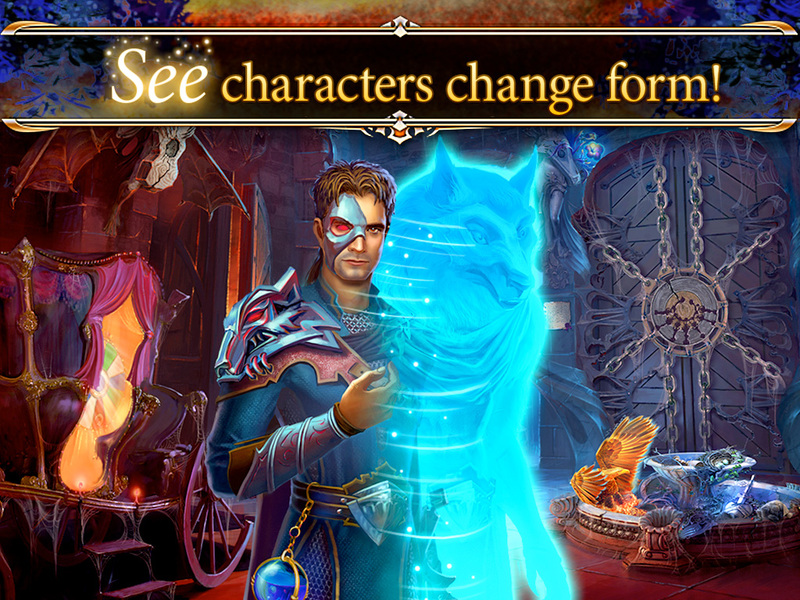 I would recommend this game to all hidden object game fans. Rated 5 out of 5 by nekane907 from MIDNIGHT CASTLE My best friend it's my video game,is always there when I need it it let's cheat it let's me win , it let's feel like a king.And I hope one day when I pass away;I can still play: MIDNIGHT CASTLE in heaven. Rated 5 out of 5 by tonieaskids1 from one of the best games there is. I Love it!!!!! one of the best games i've played in a very very long time, its always another level its more to do and then each level is intertwine with one another in some way it keeps you very busy i dont want to stop playing. Rated 5 out of 5 by djs1958 from love it! been playing for a couple of years, hope for new update soon! Rated 5 out of 5 by CarmenElisa from Current Mini Game I really enjoy playing Midnight Castle but find that this latest mini game is setting me up to fail. I have been playing many more hours per day than normal and have not had a 5 part daily quest come up. I have been through most of my diamonds and about 1000 amulets hoping that if I continue to play a 5 part quest will come up. It has not and at this point I am very frustrated. Does anyone know how to call up a 5 part quest?